In the 1980s, a Swiss engineer invented the revolutionary "pacotizing" process. 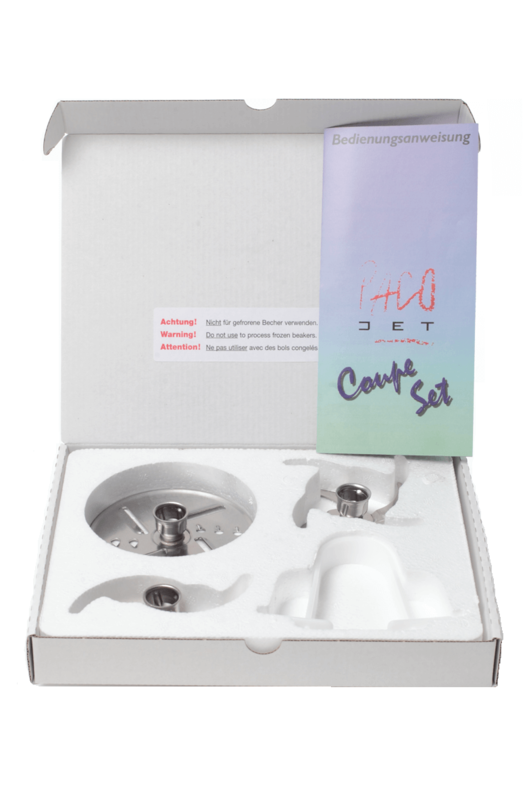 Swiss specialists developed this further to create the Pacojet, being manufactured exclusively in Switzerland ever since. Its worldwide market launch in the year 1992 marked the beginning of a success story in which Pacojet established itself as the market leader and an indispensable gourmet device. Today it is found in the world's best restaurants and catering facilities. Expanding far beyond ice creams and desserts, chefs have come to rely on their Pacojet to prepare exquisite savoury and sweet creations in each station of the kitchen. From delicious appetizers or main courses, delicate intermediate courses and tempting desserts -the Pacojet does it all. You can visit Pacojet at www.pacojet.ch. Beaker lids in various colors, designed due to popular request and demand. Color definitions according to HACCP color code guidelines (except the color Gold). The new colored lids are available in boxes of 10 in one particular color. Please see the Specifications tab for the color definitions. The state of the art design of Pacojet’s Coupe Set is a cut above conventional food processors. 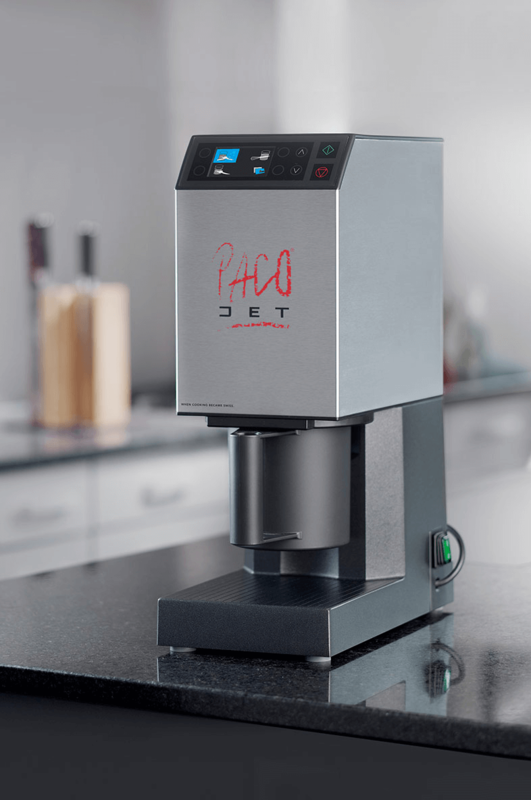 Instead of a fixed blade rotating on the base, the Pacojet blade (or whipping disk) rotates downward from the top – all the way through the contents – to achieve a uniform consistency. Cut, shop, mince, mix, blend and whip fresh foods all at the touch of a button. Discover the magic of Pacotizing with the original Pacojet 1. Proven worldwide for over 20 years, Pacojet 1 is the original Pacojet kitchen machine that elevates ordinary cooking to culinary excellence. Pacotizing enables chefs to 'micro-purée' fresh, frozen foods into ultralight mousses, naturally fresh ice creams and sorbets or aromatic soups, sauces or fillings without thawing. Intensive flavors, natural colors and vital nutrients are captured in individual, ready-to-serve portions. 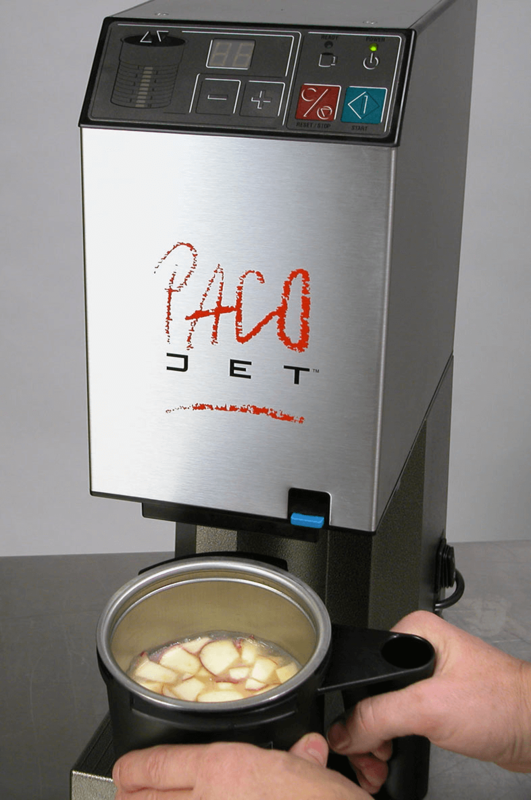 Discover the magic of Pacotizing with the Pacojet 2. Pacojet 2 is the next generation kitchen machine that elevates ordinary cooking to culinary excellence. Pacotizing enables chefs to 'micro-purée' fresh, frozen foods into ultralight mousses, naturally fresh ice creams and sorbets or aromatic soups, sauces or fillings without thawing.